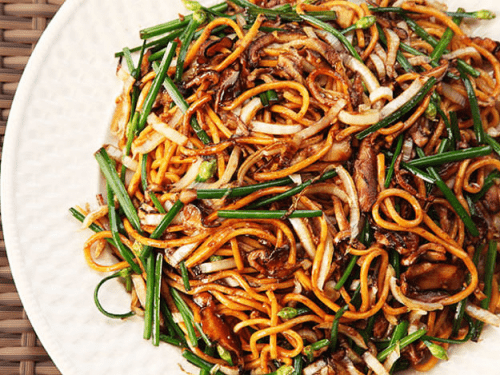 Despite their similarities, chow mein and lo mein are completely different noodle dishes. This article draws the thin line between these two celebrated Asian recipes. Chow mein, also known as the “twice-browned” noodle, pertains to a stir-fried noodle dish that originated in China. As the name implies, both sides of the noodles are fried until they turn brown. Although it bears Chinese roots, chow mein is also a popular recipe in India, the UK, and the US. Lo mein, on the other hand, is a Chinese recipe made with wheat flour noodles. Also known as Cantonese noodles, lo mein is a tossed noodle recipe that was originally a dry version of the wanton soup. Although both are delightful Chinese dishes, the subtle difference between chow mein and lo mein makes each noodle recipe distinct. Chow mein and lo mein both originated from North China. As anglicized versions of traditional names “chao mian” and “lo mian,” these two famous noodle recipes bear different meanings. The term “mein” simply means noodles, which explains why both these Chinese recipes are primarily made up of egg noodles. However, the Chinese words “lo” and “chow” are completely different in meaning as they refer to diverse cooking techniques. While “lo” means tossed, the term “chow” means fried. Chow mein can be cooked in two different ways, but both require frying. When cooking traditional chow mein, the noodles are fried on either side. Then, stir-fried vegetables and meat are added to the pan. In the contemporary chow mein version, the vegetables and meat are fried together with the parboiled noodles. Meanwhile, lo mein is cooked by bringing the noodles to a boil. Unlike chow mein, lo mein is typically served with the noodles and the other ingredients kept aside. Once ready, the noodles and toppings are tossed and mixed together. Since chow mein and lo mein are cooked differently, the texture of the noodles also greatly differs. While chow mein noodles are fried until crispy brown, lo mein is characterized by its soft noodles, which is comparable to the noodles in a wanton soup. The shape of the egg noodle used to cook chow mein is either rounded or flat. The noodles for lo mein, on the other hand, are always rounded. The fat content and nutritional value of lo mein and chow mein greatly vary depending on the ingredients and toppings used to cook the noodles, along with the serving size. 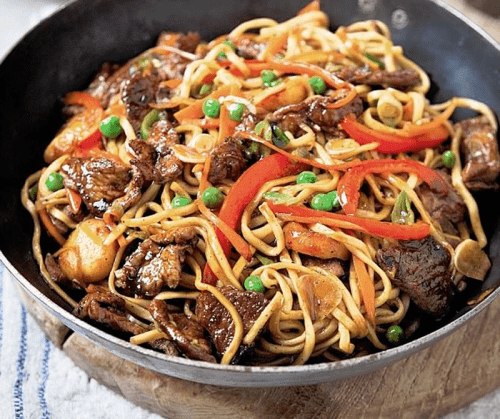 However, between the two, lo mein has a lower fat content since the noodles are boiled rather than fried, making it the ideal choice for those who want to cut down on fat and calories.